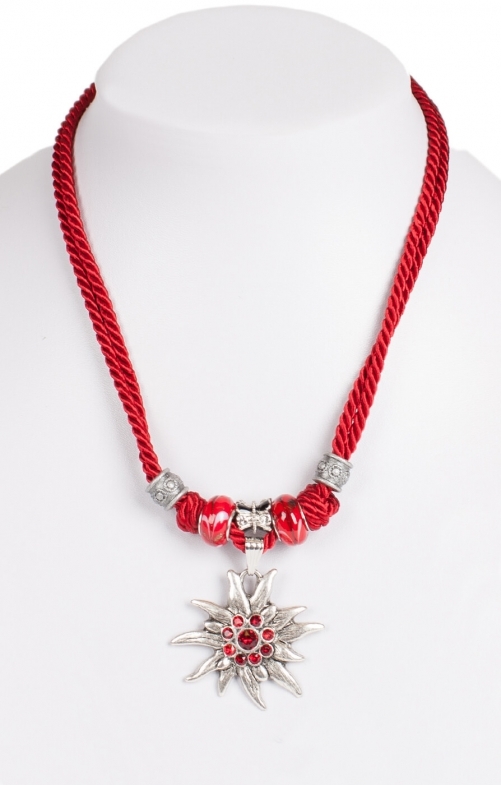 Traditional necklace cord in burgundy red. The cord can be created to the perfect length and supports a large nickel free silver coloured starburst pendant. The centre of the pendant is adorned with a circle of red gems that perfectly match the colour of the cord and creates a lasting impression at Oktoberfest.